• Residential starts dropped 4.7% month over month (estimated -0.4%) to a 1.13 million annualized rate (estimated 1.18 million), the slowest in a year. • Starts in U.S. South slumped 9.3% to 527,000; also fell in Midwest and Northeast. • Single-family starts declined 4.6%, multifamily construction down 5.1%. • Permits, a proxy for future construction, decreased 4.5% to 1.22m rate (estimated. 1.25 million). Similar to other recent economic data, figures on housing starts have the potential to remain volatile for several months. The widespread damage from the hurricanes also may cause a further shortage of workers and ready-to-build lots, along with lingering supply-chain delays and higher prices for raw materials. Only homes that have to be completely rebuilt, for which a permit is issued as new construction, are counted as a start, while partially damaged dwellings are considered repairs. At the same time, history shows activity typically rebounds in later months as rebuilding efforts begin in areas affected by major storms. 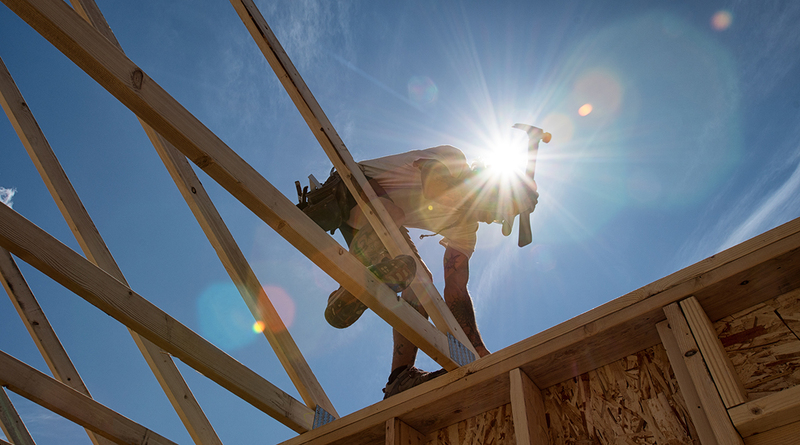 In a hopeful sign that concern over fallout from the hurricanes has been alleviated, a gauge of homebuilders’ confidence rebounded to a five-month high in October. Prior to the weather-related distortions, the steady job market and still-low mortgage costs were sustaining demand for housing. Economists expect residential construction will keep expanding, albeit gradually. • Single-family home starts fell to a 829,000 rate in September, the slowest since May, from 869,000 the prior month. • Groundbreaking on multifamily homes, such as apartment buildings and condominiums, decreased to an annual rate of 298,000, the weakest in a year; data on these projects can be volatile. • Report shows wide margin of error, with a 90% chance that the September figure was between a 12.8% drop and 3.4% gain. • Report released jointly by the Census Bureau and Department of Housing and Urban Development in Washington.